Upright Monuments: Upright monuments are traditionally styled with a serp top and take a variety of sizes. 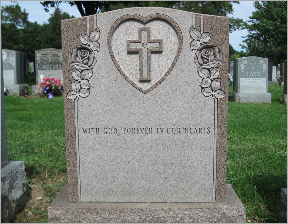 Custom shapes are also available including hearts, crosses, and angel sculptures. 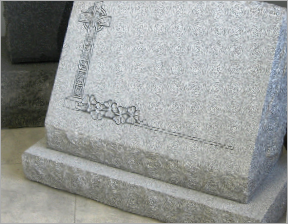 Slant Markers: Slant Markers are commonly used as an alternative to upright monuments. Slants are a smaller option to the upright monuments, but, nevertheless, are an option that remains highly visible in your plot. Flush and Bevel Markers: Flush and bevel markers are available as modest options to commemorate your loved one. They can serve as a monument in and of itself as well as a component to a larger estate plot. Estate Design and Installation: We will help design and build your estate plot. 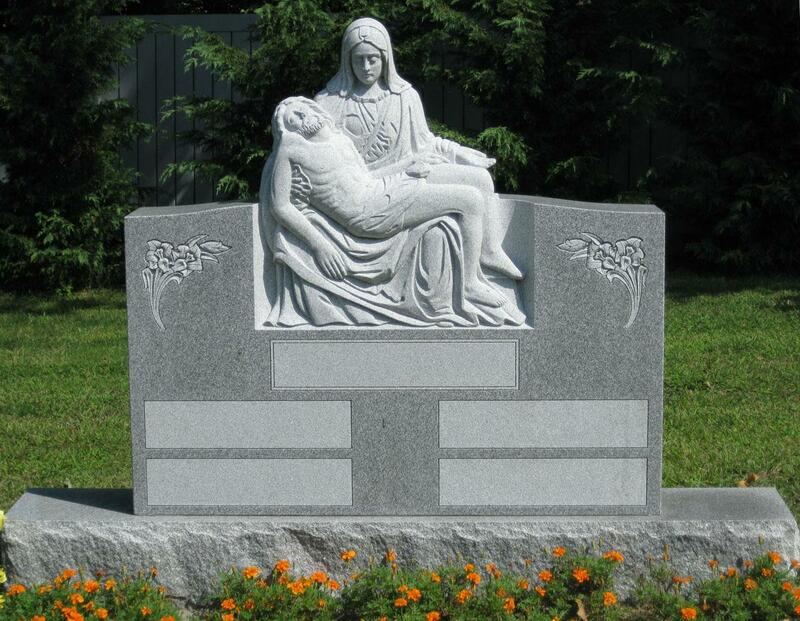 Estates may include mausoleums, large family monuments, sculpted and intricately designed memorials, and more. Speak to us about your vision and we will help realize it. Bronze Plaques: Bronze plaques are often used in community projects and civic memorial installations. They are also used in cemeteries as an alternative method for memorializing a loved one. Your cemetery may indeed require it for your plot location. For others, bronze plaques serve as a preferred choice to an engraved/etched monument. 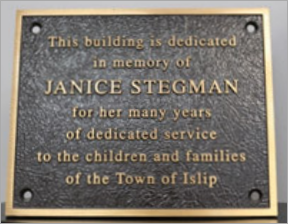 We can assist you with any of your bronze plaque needs. 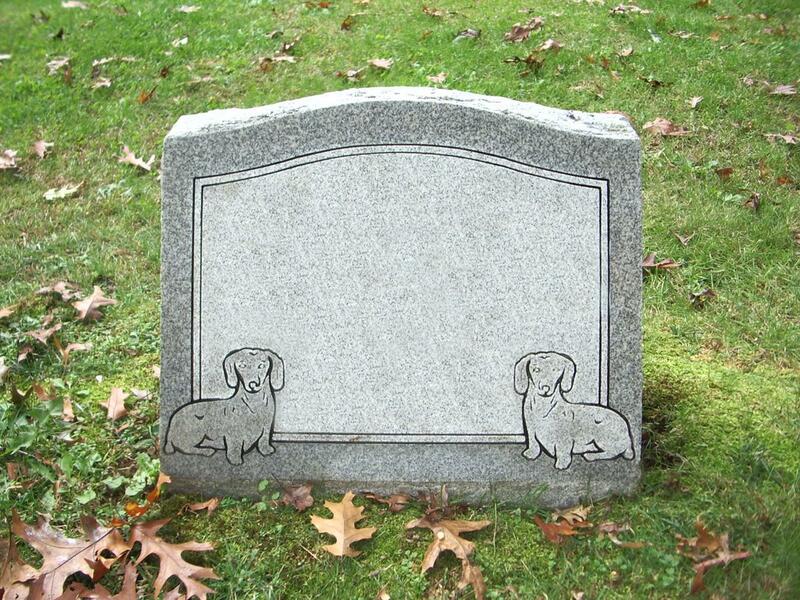 Pet Memorials: We offer a variety of pet memorial options including shaped monuments, pet rocks, and full monument style memorials for your cherished pets. 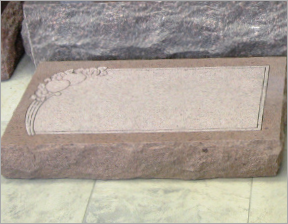 Benches: Benches are a wonderful component to your family plot. Benches provide a place for visitors to find solace and take comfort while visiting the cemetery.